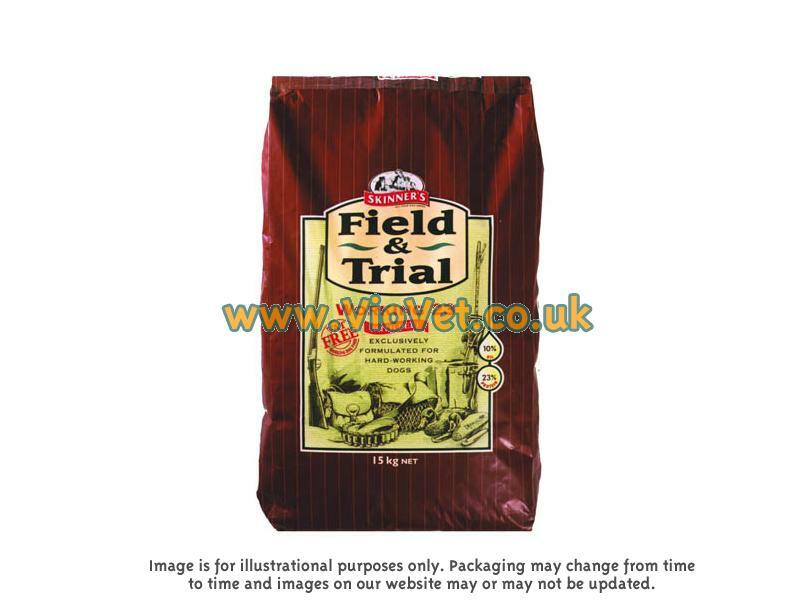 Skinner's Field & Trial Working 23 is an advanced formula diet for the sustenance of hard-working adult dogs, containing a wholesome blend of meat, fibrous cereals, oils and fortified vitamins. The perfect maintenance diet for working and active dogs in need of more tailored nutrition, helping to promote vitality, endurance and a lean body tone to aid in maintaining an active lifestyle. The diet also combines carefully selected proteins, complex carbohydrates and high calcium and phosphorous levels to improve the health of teeth and bones. Highly digestible to be gentle on stomachs, and with a palatable formula of beef meat meal, rice and chicken fat to appeal to the most selective appetites. Whole wheat, beef meat meal, maize, maize gluten, rice, oats, chicken fat, bran, vitamins, minerals and trace elements. Iron (as ferrous sulphate monohydrate) 10mg, Iodine (as calcium iodate anhydrous) 1.5mg, Copper (as cupric sulphate pentahydrate) 7mg, Manganese (as manganous oxide) 50mg, Zinc (as zinc oxide) 90mg, Selenium (as sodium selenite) 0.1mg. Contains EC permitted antioxidant. 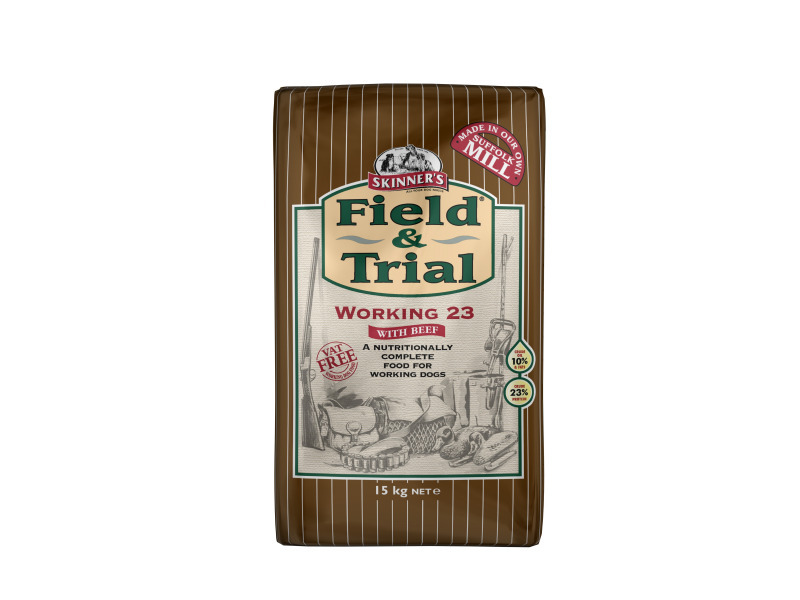 There are currently no questions for Skinner's Field & Trial Working 23 Dog Food - be the first to ask one!